Historically speaking, women have been underrepresented in professions heavy in science technology, engineering, and mathematics (the STEM fields). You wouldn’t know it to look at the 2017 class of Petit Undergraduate Research Scholars. This year’s class – tied for the largest number of students, 22, with last year’s class – features 16 women, a record number in the program’s 18-year history. Since it was established as a summer research experience in 2000, the program has supported hundreds of top undergraduate researchers who have moved on to successful careers in research, medicine, and industry. But it has never supported this many women at one time. That first year, six of the seven scholars were men. “It’s empowering to be surrounded by motivated women who aren’t going to stop moving forward in STEM just because the field has been traditionally male dominated,” says Madeline Smerchansky, a third-year student in the Wallace H. Coulter Department of Biomedical Engineering, who has been doing undergraduate research for about a year. The Petit Scholars program, open to all Atlanta area university students, basically gives scholars room to breathe intellectually. What makes the program unique is that it provides for a full year of research in state-of-the-art labs of the Parker H. Petit Institute for Bioengineering and Bioscience. “The scholars will work alongside graduate students or postdoctoral mentors in labs across the spectrum of bioengineering and bioscience,” explains Raquel Lieberman, the Petit Institute researcher who serves as faculty mentor for the program. “The sustained research effort over the course of a year will enable the Petit Scholars to contribute to a research project in a substantive way,” adds Lieberman, an associate professor in the School of Chemistry and Biochemistry. This year’s group of students come from three different universities (while most come from Georgia Tech, two students are from Morehouse and one is from Agnes Scott). They represent nine different majors, reflecting the multi-disciplinary approach the Petit Institute takes toward research. 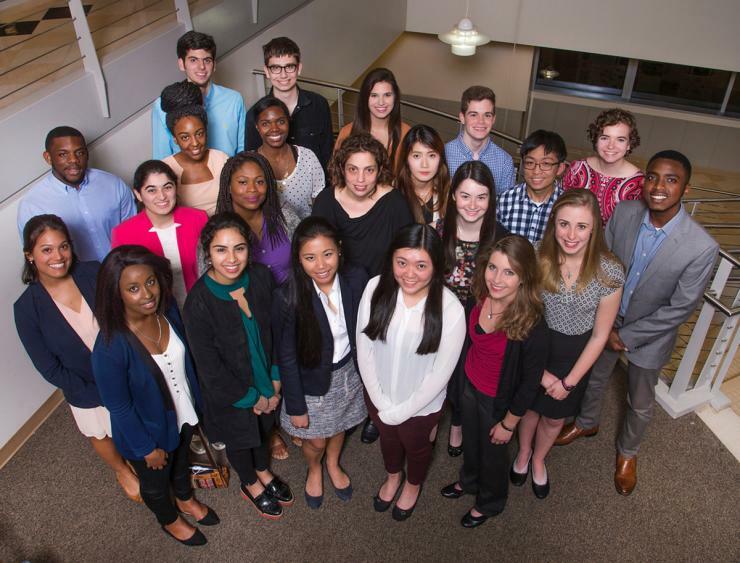 The largest group (six students) is majoring in biomedical engineering (BME) in the Coulter Department. Stasenko figures the the program will help confirm if a career in research is the right path for her. In the meantime, the Petit Scholar experience is a source of empowerment for her. Another BME undergrad, Rebecca Keate, says she knows a rare opportunity when she sees one: "As a second-year undergraduate, I recognize that a lot of students are not granted the same opportunities as I am, to have such a sophisticated research experience at a powerhouse like Georgia Tech."